I just joined the Jefferson City Photography Club. The club runs a monthly contest, with a different theme every month. This month: Abandoned. For regular categories the picture must have been taken sometime since the first of the present month of last year. 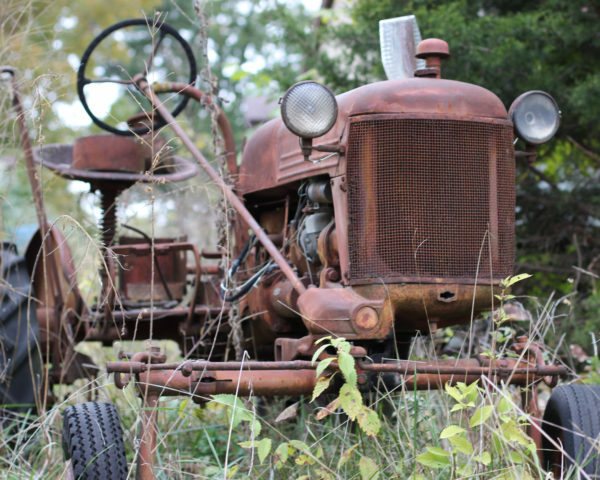 My tractor photo just made it, having been taken 10/22/13. It won first place for color print: my very first photography prize! So now, if I have the guts to, I can describe myself as a published author and award-winning photographer. National Geographic, here I come!